More often then we would like to admit, we are unwilling or unable to submit our WordPress plugins back to the repository for everyone to use. But how do you exclude your plugin from WordPress updates? As usual, the answer is with filters. Check out the code below to see how. But how does this exclude your plugin from the update? First, it takes the HTTP Request args and unserializes the [‘body’][‘plugins’] part of it. From there, it’s as simple as unsetting your plugin from the array, then re-serializing the request args. Also the first part checks to see if this is actually and update check. If it’s not, you exit the function. 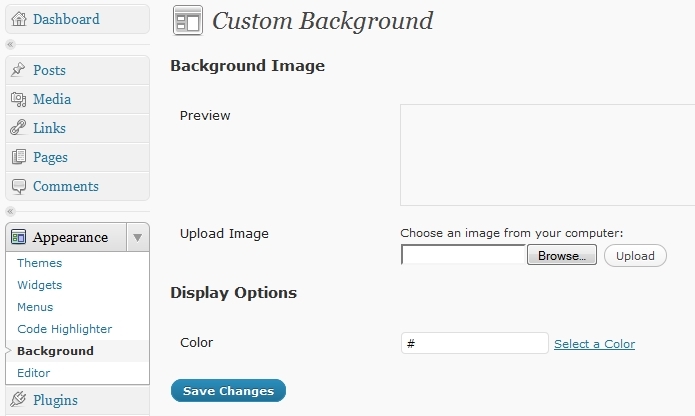 One of the smaller (yet still welcome) features that snuck it’s way into WordPress 3 was custom backgrounds. In most cases, this allows you to change the background picture and color of your blog (Note: This may not work if your theme has a background already). This is great, because you don’t have to know CSS to make it work. Really, all you need to do is add the following code to your theme’s functions.php file. After that, under the Appearance menu you should have a “Background” option link. When clicked, it will look like this. From there, upload your custom background and bask in your own glory! Note: The full source code for this plugin can be found here. Every time you go to WordPress blog and see items in the sidebar, it’s likely that they are widgets. There are thousands of them for download on WordPress.org, but what if you want to create your own? How would you code it? That’s what I will answer in this quick How-To. We’re going to start out by creating a simple plugin. It’s only purpose is to initialize our widget. Description: A math widget that takes the post id and multiplies it by 5. The nex step is the add the widget to WordPress and then register it. Add this code to the plugin that you already have going. You want everyone you use your plugin right? Well if it isn’t compatible with any themes nobody is going to use it. To add theme compatibility we need to modify the first function we wrote to look like this. Now that you’re done, save the file as sweet_math_widget.php and then zip the file using WinZip (or a similar tool). Upload the plugin to your WordPress install and then activate. If everything goes well, you’ll have a new widget in you Appearance -> Widgets area. Drag “Sweet Math Widget into your sidebar and you’re done. Go to a post on your blog and you should see something like this. You can download the full source code for this widget here. Since version 2.9 of WordPress, it’s been possible to have post thumbnails. Once these thumbnails have been set, they can be used throughout your site whenever your post is called. Using post thumbnails is easy, and so is enabling them. It’s only a few steps, so let’s get started. 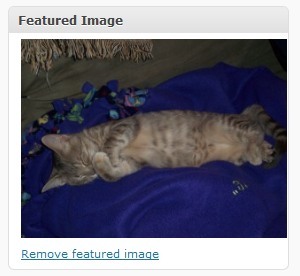 The first step to using post thumbnails in WordPress is to enable them. To do that, all you need to do is put the following in you themes functions.php file. Once you’ve added this code, you should see a box underneath “Post Tags” in the Edit Post screen. 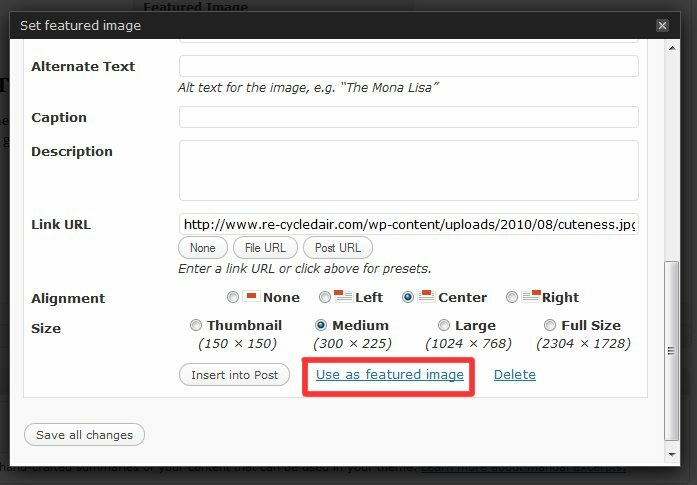 Now that you have the featured image box in you WordPress Edit Post area, you need to click the “Set featured image” link. Once you do that, you’ll be greeted with the usual WordPress image upload screen. 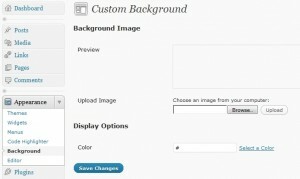 Select the image you would like to upload, and then let WordPress do it’s image crunching magic. Now comes the most important part, you need need to click “Use as featured image”. Once you’ve done that, you’ll get a thumbnail version of the photo you just uploaded in the lower-right hand corner of you Edit Posts screen. Obviously post thumbnails aren’t much use to you if nobody can see them. To see them in your theme, you need to call the following function while inside The Loop. That’s it! It’s now easier than ever you have each one of your posts have a thumbnail. If you have any questions, please leave them in the comments. One of the most touted new features in WordPress 3 is the integration of WordPress MU into the main branch of WordPress. What this allows you to do is run multiple WordPress sites or blogs, while only needing one install. The only issue is that this functionality is not enabled by default. 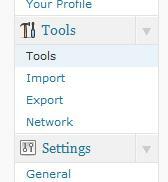 After you set WP_ALLOW_MULTISITE to true, you’ll get a new menu item called “Network” under the tools menu. From there, you can experiment setting up new sites.